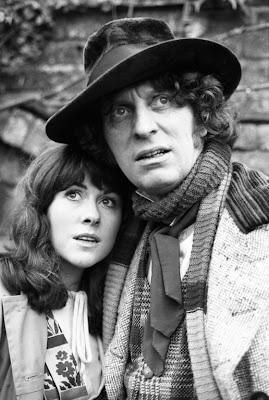 Yesterday I was saddened to hear of the death of Elizabeth Sladen. Most Americans won't know her name but I do. She played Sarah Jane Smith on Doctor Who, a long running British sci-fi series. She was the Doctor's companion from 1973 to 1976 and was companion to first the Third Doctor then my favorite The Fourth Doctor. She was my all time favorite companion. She was a feminist, a journalist, nosey, strong, full of humor and had the great sense to travel through time and space with The Doctor. What an adventurer! 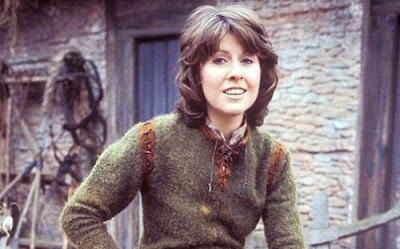 I wanted to be Sarah Jane when I grew up. I was beyond thrilled when Elizabeth reprized her role with Doctor 10. 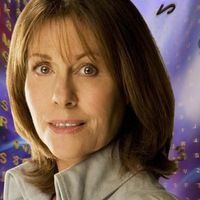 She is also the only companion of the Doctor to have a spin off show, The Sarah Jane Adventures. 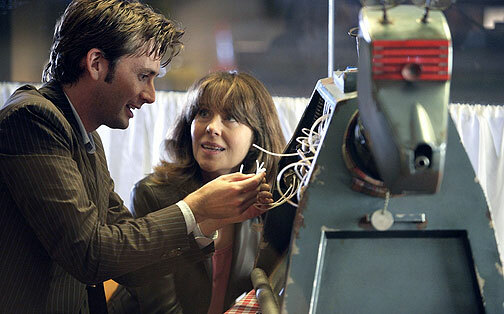 Sarah Jane led the way for strong female companions like Martha Jones and Donna Noble. Elizabeth Sladen's portrayal of Sarah Jane was such a large part of my childhood and my initial love of sci-fi that I for one will greatly miss her. RIP Sarah Jane. She was one of my favourites too. I do not know who she was, but if she meant so much to you she must have been an amazing person. I am so sorry to hear that you have lost a mentor and someone that gave you such joy. Ya know I am right there with ya! I was saddened to hear this too..I so enjoyed her episode with Dr. #10! Seriously she was so young! May she rest in peace! She will be missed!! We are huge Dr. Who fans here too..my son's hair at present looks like Dr. #10 LOL! My hubby wants me to crochet him a tartis hat :) We are all sci-fi geeks here!! So glad to know I am not a geek alone! We are planning to watch the all day marathon on Saturday...whoo hoo! Thank you for your input on the Bohemian Bean hon...I love that idea~~ am so stuck with this one!